The medicine storage system that is flexible and portable. Dosett® Mini is a quality product with a fresh-looking design, soft shapes and roomy compartments. The mini-format is perfect for the pocket or handbag. 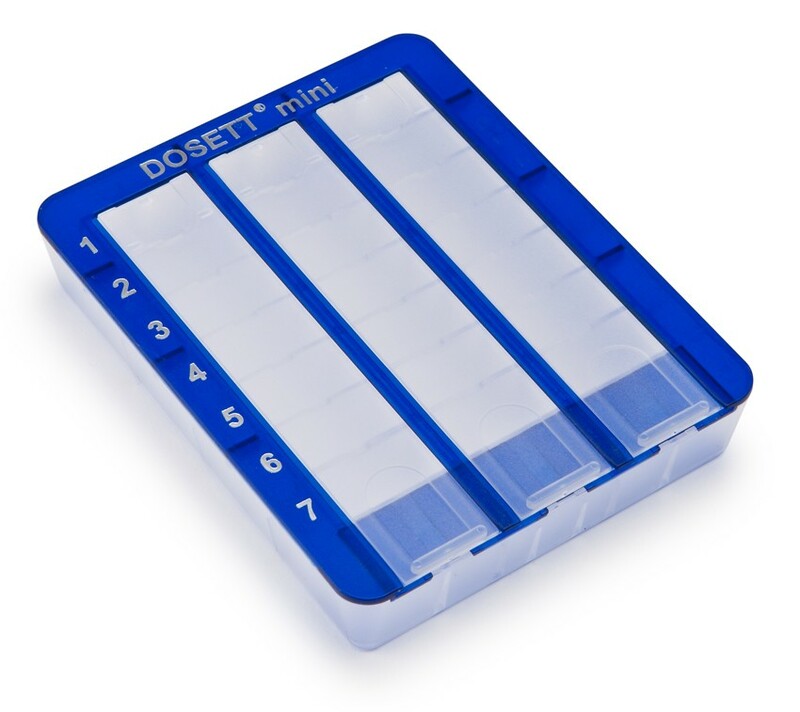 Dosett® Mini has been adapted to accommodate one week’s worth of tablets at a dosage of three tablets a day, or three week’s worth at a dosage of one table a day. If the Dosett® Mini isn’t sufficient, try Dosett Medi or Dosett Maxi.